Top sights to see in Liechtenstein in Europe include the capital Vaduz with its castle, old town, and museums, as well as beautiful nature including the Rhine and Alps. The Principality of Liechtenstein is the fourth smallest country in Europe but its tourism appeal far exceeds what would be expected from a nation of only 35,000 inhabitants. Apart from beautiful nature, Liechtenstein also has a number of interesting cultural sights as well as endless opportunities for outdoor activities. Liechtenstein is nestled between Austria and Switzerland. Most of the border with Switzerland is formed by the upper reaches of the Rhine River. The majority of towns – it has no less than eleven municipalities – are in the Rhine Valley with easy access to Switzerland. The rest of the country is mostly mountainous allowing for only a single road connection to neighboring Austria. 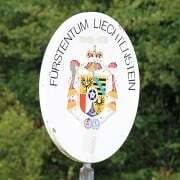 Although an independent country, Liechtenstein has many agreements with Switzerland, which handle most of its foreign affairs. The Swiss franc is the official currency, although the euro is widely accepted too. There are no border controls between Switzerland and Liechtenstein, although customs checks can be made when crossing into Austria. Although at first appearances resembling a country village, Vaduz is the national capital of Liechtenstein. This pleasant town has an interesting blend of old and new architecture ranging from the twelfth century origins of the castle to the ultramodern black cube housing the art museum near the equally modern parliament building. The top sight in Vaduz is Schloss Vaduz, the castle that towers from a rock over the old town of Vaduz and the Rhine Valley. It is the residence of the Prince of Liechtenstein and completely off limits to visitors. It is best seen from the town with the Alps as backdrop although hiking through the hills for a close-up view is also very pleasant. 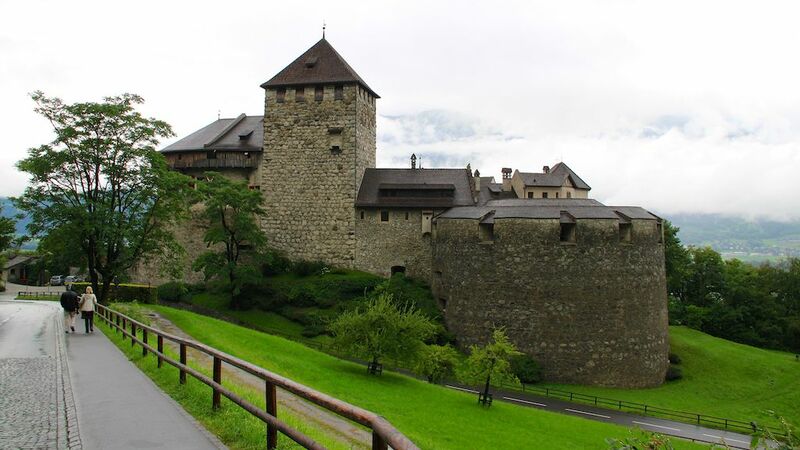 If driving from downtown Vaduz, parking is available just past the castle allowing for a close-up view of the fortress. 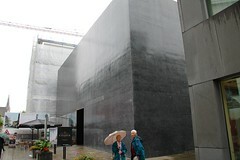 The Kunstmuseum Liechtenstein (Art Museum) is housed in a large black square building resembling a quartz cube. The focus is on modern art from the nineteenth century to the present but temporary exhibitions of older works, especially from the collection of the Prince of Liechtenstein, are also hosted. The Liechtensteinisches Landesmuseum (Liechtenstein National Museum) is in a more traditional building and focuses on local culture and history. It has an eclectic collection of art as well as historical, cultural, and natural objects related to the principality. The Kunstraum Engländerbau (Art Space English Building) is a forum for visual arts – projects range from exhibitions to workshops and performances of modern art. The altitude of Liechtenstein ranges from 430 m (1,410 ft) in the Rhine Valley to 2,599 m (8,527 ft) at Grauspitz mountain peak. Most of the country is in the Alps and opportunities for outdoor adventures abound in both summer and winter. Popular summertime adventures include hiking, cycling (90 kilometers / 56 miles of marked trails), rock climbing, in-line skating, horse riding, and swimming. Liechtenstein’s most popular ski resort is Malbun with downhill skiing, snowboarding, tobogganing, cross-country skiing, après ski, reasonable prices, and thin crowds major attractions. Families with small children can usually very good deals when traveling outside local school holidays periods. Liechtenstein is interesting to visit but it is unlikely that many tourists ever return for second visit. Vaduz is pretty and the museums interesting but many nearby Swiss towns are even more beautiful, Swiss castles are open to visitors, and the mountain scenery and Alpine resorts of Graubünden (Grison) are hard to better. Transportation to Liechtenstein is easy by car or via the extensive railway systems of neighboring Austria and Switzerland. In Liechtenstein itself, an excellent public bus system is generally the best way to travel. The Landquart Designer Outlet shopping mall with factory stores offers some of the best shopping deals in the region. It is in Switzerland only a few minutes drive to the south of Liechtenstein.